Craig Anderton with the Seaboard RISE. Early MIDI synthesizers like the Roland Jupiter-6 were controlled by simple on/off switches and did not offer dynamic response when played. Music transforms emotions into sound, and musical instruments are the conduit. From the beautiful simplicity of the human voice to the most technologically complex synthesizer, musical instruments exist to express the gamut of emotions. Consider the guitar. Its range of expression has served everyone from Andrés Segovia playing a Bach sonata to John Lennon’s songwriting genius to Jimi Hendrix’s reinvention of how a guitar could be played. More than half a century ago, when electronic synthesizers crossed over from lab curiosities to musical instruments, most were controlled by on/off switches in the form of a standard organ keyboard. Over time, the keyboards improved. They added dynamic response that was more like a piano than an organ as well as pressure response that enabled musicians to modify a sound by pressing on a key after it was down. While welcomed, the improvements fell short of making electronic instruments as expressive as their acoustic or electric counterparts. Today, most musicians have never known a world where electronic instruments didn’t exist. They take the power of electronic instruments for granted, but they are also aware of their limitations. With a guitar, just holding the pick differently changes the sound. An electronic instrument cannot do the equivalent. 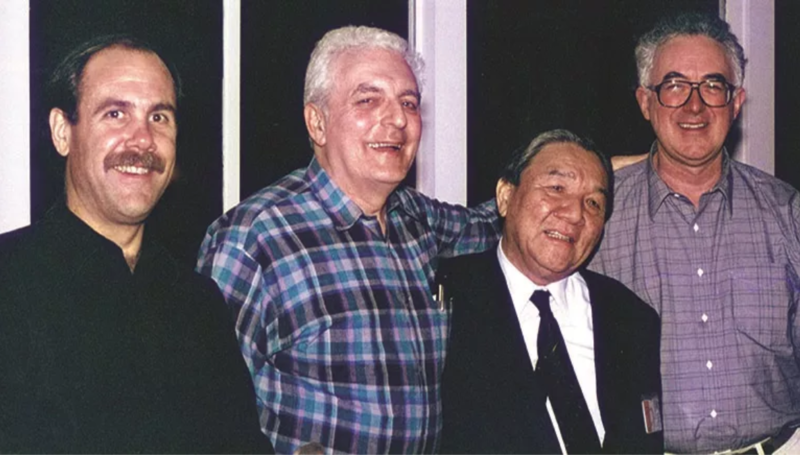 MPE is built on the original MIDI specification developed by Dave Smith, Robert Moog, Ikutaro Kakehashi and Tom Oberheim (Credit: Dave Smith Instruments). MIDI Polyphonic Expression (MPE) is a technological breakthrough for today’s musicians, and one of the unique aspects of this emerging category that it works interdependently across hardware and software. Built on the original MIDI specification, MPE-compatible software programs provide new ways to define notes and performance gestures. MPE-compatible hardware controllers offer innovative interfaces that let musicians engage with all of the extra expressiveness facilitated by the software. Keyboards and other controllers are no longer limited to up/down motions and sometimes pressure. The MPE specification accommodates multiple performance gestures within a single note. How hard you strike a key or pad; how much you move your fingers side to side or up and down; how much pressure you apply after striking a key; how quickly or slowly you release from the surface: all of these gestures suddenly become musical with MPE. For example, instruments can translate side-to-side motion to provide vibrato like on an acoustic string instruments. A tiny amount of pressure on a key can “swell” the volume, or add brightness, to each part of a brass section. With MPE you don’t just play a note—you play with a note. Because of this it is an artistic breakthrough as well as a technological one. It endows electronic instruments with greater potential for expressiveness. It allows music creation to happen organically in real time — just like it does with acoustic instruments — instead of being added after the fact by editing a performance captured in a sequencer. Roger Linn's expressive MPE Linnstrument is laid out in a fret-like grid (Credit: Roger Linn Design). Built directly on the 1980s MIDI specification, MPE is like a modern addition to a venerable house. Some think of MPE as “MIDI 2.0,” but that would mean it is a new house — which it’s not. With MPE the house just has more living space and more options for the time you spend in it. MPE may be built on decades-old foundations. But innovations in interface design, materials, and programming have also made it possible. For example ROLI’s Seaboard, a family of MPE controllers, remodels the piano keyboard interface by replacing it with a continuous playing surface of soft black silicone — so that it is not a keyboard at all. 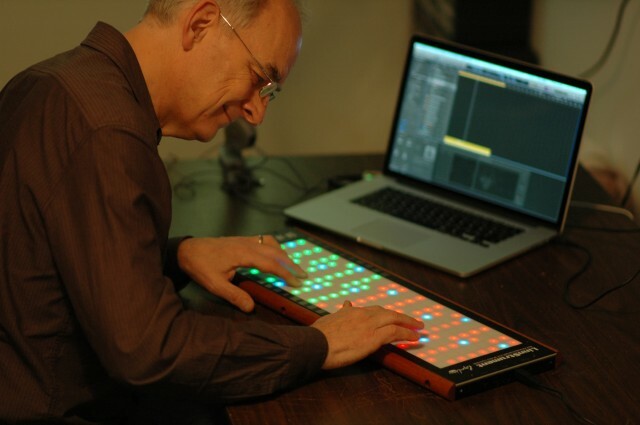 Roger Linn Design’s LinnStrument takes a more pad-oriented approach and arranges these pads as a matrix that allows fretted instrument players to feel at home. Most importantly, both of these controllers are not confined to their native software. They interoperate with a growing number of computer-based, virtual instruments and editing programs — such as Bitwig, Logic, Omnisphere, Equator — that recognize the data generated from MPE controllers. Once again, the ability of the whole electronic music industry to innovate together has been crucial for MPE. 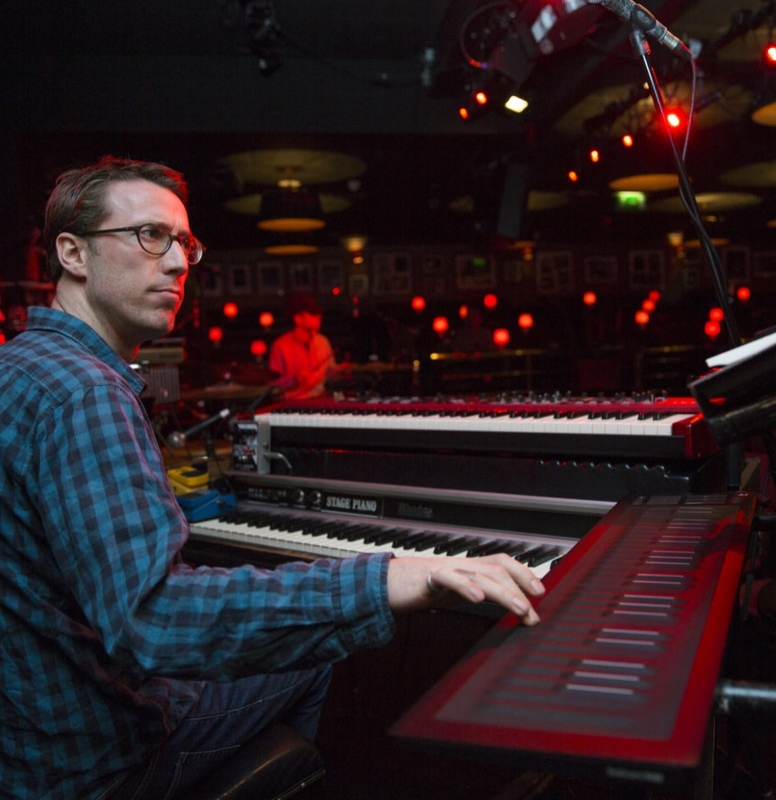 Bill Laurance (keyboardist for Snarky Puppy) plays the Seaboard RISE live at Ronnie Scott's jazz club. More artists like Bill are incorporating MPE instruments into their productions and performances. Well, yes...actually we are. MPE isn’t mainstream yet. It’s still too new. But over time, those who discover MIDI-based music will start off with an MPE-compatible hardware and software instruments. Meanwhile, musicians currently immersed in MIDI are already starting to integrate MPE into how they make music. There probably won’t be a moment when the world “goes MPE.” But it will become more common over time as people realize the advantages of having greater expressiveness literally at their fingertips. Adapting to the MPE world does not even require a new studio setup. In keeping with MIDI’s attention to backward compatibility, MPE controllers can unlock expressiveness in older, pre-MPE virtual instruments. For example, because electronic instruments could control only a limited number of sonic elements, it was necessary to either re-record parts to control additional elements, or do time-consuming edits in computer-based recording software. MPE commands can now control these elements in real time, so musician can go back into their favorite virtual instruments with new expressiveness. Now is the time for MPE. After a half-century of incremental developments with electronic instruments, musicians — and their audiences — are ready for new instruments that provide a better, more artistically satisfying transformation of emotion to sound. MPE is that transformative force, and the music we’ll be listening to in the decades ahead will be all the better because of it. Craig Anderton (craiganderton.com) is an internationally recognized author, musician, lecturer, mastering engineer, and consultant. The only thing he loves more than music is more music. MPE instruments: a Linnstrument (top), a Soundplane (middle) and a Seaboard RISE (bottom).